Cold mineral water from the Wudalianchi springs (NE China), used in water supply and balneotherapy, attracts thousands of tourists here each year. Better understanding of the origin and hydrochemical processes for protection and sustainable use of the rare and precious resources is timely needed. 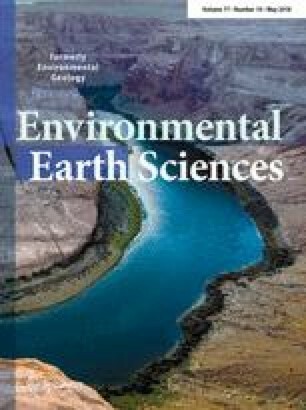 Based upon the field investigations, the formation of the mineral waters and the hydrochemical evolution were comprehensively characterized using physical and chemical data analysis, ion ratio calculations, multivariate statistical methods and PHREEQC modeling in this work. The water–rock reactions and their possible chemical reactions during the water formation were studies to explain the mineral evolution. The results showed that the Yaoquanshan Mineral Water District in the study area is abundant in bicarbonate-type mineral water. The special physical and chemical evolution made the mineral waters unique for potable and therapeutic purposes owing to the combined effects including leaching, mixing, cation exchange and adsorption effect and anthropogenic activity. The authors would like to thank the National Natural Science Foundation of China (Grant nos. 41472237 and 41703125), Liaoning Innovation Team Project (no. LT2015017) and Research Programs of Heilongjiang Land & Resources for their financial support. We are also grateful for assistance from the Wudaliangchi Reserve Management during the field surveys.